Techstars has launched a new accelerator in Austin focused on the increasingly popular category of “impact” technologies. The Austin-based accelerator will begin accepting applications in December 2017 for a June 2018 launch. The new accelerator has managed to lock in some pretty interesting backers, including Morgan Stanley Investment Management’s AIP Private Markets Team, the Impact America Fund and RetailMeNot chief executive Cotter Cunningham. In an email to me, Schlag provided some additional criteria on what constitutes companies that will fit the criteria for the new accelerator program. She writes that social companies should increase access or affordability to basic services, reduce poverty or inequality and increase diversity and inclusion. Companies focused on environmental impact will be ones that increase food supply or improve security, increase access to clean energy or improve access to affordable water or sanitation products. “We’re looking for entrepreneurs building companies whose business model and impact are intrinsically tied to each other, so the business scales in lock-step with impact,” Schlag writes. Schlag knows what it takes to have an impact. She was the founder and chief executive of UnLtd USA, which was basically handling a similar program outside of the Techstars umbrella. Now, as managing director of the Techstars program, she’ll build out a more formal practice for the accelerator. 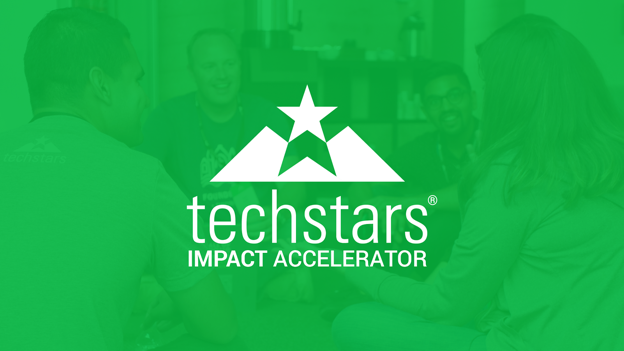 Techstars has already invested in companies that it considers part of the “impact” category. Foremost among them are Zipline, which builds drones to deliver medical supplies in Africa, and ConnXus, a business-focused software provider for sustainable sourcing. There’s a lot of movement in the social and environmental technology category, with investment firms like Urban.us, the Urban Innovation Fund and the Govtech Fund also working to back startups that tackle social and environmental issues.